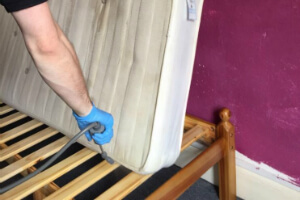 Commercial & Residential Pest Management Beckenham BR3 | Quality Property Care Ltd.
You will no longer have to tolerate bed bugs and dust mites, give Quality Property Care Ltd. a call by dialing 020 3746 4287 and let our team of professional pest control technicians take care of the rest. We are available also on weekends and bank holidays. Quality Property Care Ltd. have a 95% success rate with any kind of pests. We have an experience in crawling insects, flying insects, rodents, and other unwanted kinds of animals. Whenever we can we relocate the critters. If we are not able to do this, we act fast and humanely to eliminate it. If you book with us, you can expect a follow up consultation. Every pest control method we use has a 3 month guarantee - it will keep your home or office clean up to 3 months. Our pest removal service is not hourly based. We will work until you are satisfied and the job is completed. 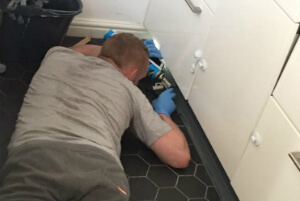 Once you book a pest control service from Quality Property Care Ltd., a pest technician will visit you and will do a full examination of your property. He will assess the level of the problem, as well as determine the entry points and plan the most efficient and suitable treatment. According to the kind of pest, different remedies will be used. All of the insecticides and pesticides are from an approved UK pest products supplier. We will give you detailed instructions about the precautions which need to be taken before and after the pest control treatment. Customers also receive a written report for the pest control service provided. We offer a 3 month guarantee , and this includes two visits by the pest control expert for additional inspections and treatment if needed. To book the professional pest control service you need, call 020 3746 4287 or fill in the online booking form right away. The customer support will process it immediately. No deposit is needed for booking. Fixed prices and no hidden fees . You will pay after the service has been provided. Get rid of the annoying and nasty pests, and book your professional pest control service now!